Sorry, your browser doesn't support our video playback. Here's a link to download the video. Leathes Prior Solicitors is one of East Anglia’s leading law firms offering a full range of legal services to organisations and individuals in Norfolk and beyond. Whilst our offering has stood the test of time (over 140 years to be specific), we are always looking at ways to develop the firm to ensure that we are providing the best possible service to our diverse and loyal client base, whether that be investing in the right talent or developing market leading niche offerings. What separates Leathes Prior from the bunch is our investment in longstanding relationships. With all four of our offices in the heart of Norwich, we like to think we understand our core client base very well, whether that be on an individual or commercial basis. We pride ourselves on the personal service that we deliver, ultimately ensuring that instructing lawyers need not be a painful or expensive process. Henry Prior, father of Leathes Prior, is born in Tewkesbury. Leathes Prior's father, Henry Prior married five times. His fourth wife, Amelia Mary Tompson, was born in 1819. 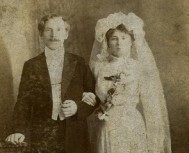 Lieutenant Henry Prior marries Amelia Mary Tompson. 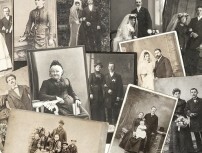 The couple go on to have three children together, including Leathes Prior. Leathes Prior, founder of the firm that still bears his name today, is born in the Saugor (Sagar) territory of British India. Leathes Prior was appointed as an apprentice to the solicitor William Nicholas Harwin Turner. The legal practice firm Turner and Prior is established in Norwich. 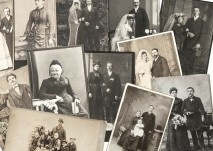 Leathes Prior marries Fanny Ellen Bolingbroke in Christchurch, Eaton, Norwich and their first of five children, Bernard Henry Leathes Prior, is born. The firm Turner and Prior is located, according to the 1879 Kelly’s Directory, on Upper King Street in Norwich. Bernard Henry Prior is appointed as Second Lieutenant (supernumerary) in the 1st Volunteer Battalion, the Norfolk Regiment. Bernard Henry Leathes Prior is awarded the South African Medal for service in the Boer War. Leathes Prior's second son, Charles Prior, is initiated into the Freemason Union Lodge on the 3rd of September. Bernard and Charles work with Leathes Prior at his law firm, now located in Tuck’s Court on St Giles Street, Norwich. Leathes Prior's grandson, Bernard Oliver Leathes Prior, is born in Blofield. He was the last member of the Prior family active in the firm. Meanwhile Leathes Prior himself is appointed Sheriff of Norwich. Bernard Henry Prior is initiated in December into the Naval and Military Freemason Lodge. Fanny Edith Prior begins her service in a Voluntary Aid Detachment during WW1. She receives a medal (Victory or British War Medal) for her conduct, as do daughters Winifred and Margaret later on. London Gazette: “For conspicuous gallantry and devotion to duty..a splendid example of coolness and courage under most trying conditions..gallant resistance by his battalion was largely due to his magnificent example of fearless determination". 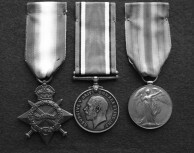 Charles Prior is awarded the British War Medal and/or the Victory Medal for services during WW1. Bernard Oliver Leathes Prior is gazetted as a 2nd Lieutenant in the 4th Battalion, Norfolk Regiment. 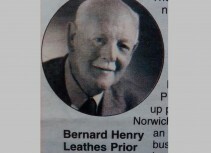 Leathes and Bernard Henry Prior are listed as solicitors and commissioners for oaths. Charles Prior is instead an official receiver in bankruptcy for Norwich and Great Yarmouth, based at the firm on Prince of Wales Road. The founder of the firm, Leathes Prior, passes away aged 82. Sergeant Michael William Leathes Prior is gazetted as 2nd Lieutenant in the Royal Regiment of Artillery due to emergency wartime commissions. Charles Bolingbroke Leathes Prior receives a Civil Defence Gallantry award for “devotion to duty during raids on Norwich” commanding a unit of City Special Constabulary. 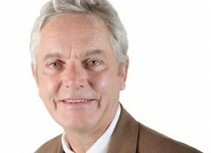 Bernard Oliver Leathes Prior is appointed Clerk of the Peace for the City of Norwich. Bernard Oliver Prior is appointed H.M Coroner for the City of Norwich and Clerk to the Great Hospital Trustees. 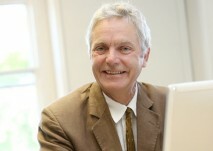 Bernard Oliver Prior is appointed Registrar of the Diocese of Norwich and Legal Secretary to the Bishop. Our Senior Partner William Riley, who is still with the firm over 40 years later, was employed as an Articled Clerk. Leathes Prior's grandson Baron James Prior is given the title of 'Right Honourable'. Our current Senior Partner, William Riley, joined the partnership at Leathes Prior in 1980. Leathes Prior's grandson James Prior receives the title 'Baron Prior' - baron for life of Brampton in Suffolk. 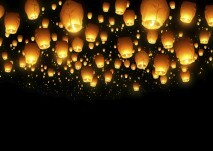 The firm decides to put together a service to help our clients tackle the problem of late payers. The service is still in action today, helping clients recover individual and corporate debts on a daily basis. Having come to England eight years previous, the trainee said that her achievement helped "break the stereotype of Filipino women". Our Head of Regulatory and Defence Team Tim Cary, who is still with the firm today then moved into the office at 15 The Close to grow the firm's personal injury offering. 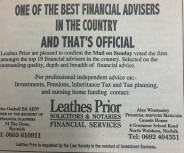 Back when Leathes Prior also provided financial advice as well as legal advice, the Mail on Sunday placed the firm amongst the top 19 financial advisers in the country, selected on outstanding quality, depth and breadth of financial advice. 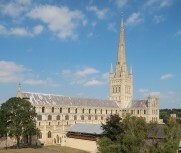 The firm showed support to the Norwich Cathedral and Diocese by sponsoring, alongside Savills, 'a walk through the Cathedral of light' when tunnels and caverns of extraordinary light and colour were displayed in The Close. 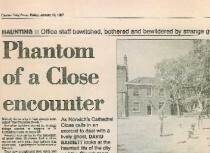 After cupboard doors slamming shut, calendars sent swinging and clock pendulums defying gravity, the firm contacted the Norfolk clerics appointed by the bishop to deal with exorcism and the paranormal. One of the first major UK firms to opt to close down its Legal Aid departments, the firm chooses to re-focus the firm solely on its private and business clients. In 2003 we launched mediation1st, now a market leading offering with Partner Martin Plowman, who founded mediation1st, now ranked number one mediator in the UK in the National Mediator Database League Table. The firm signs up as sponsors of Wymondham Rugby Football Club and continued to support the club for 10 years following. In 2006 the firm took on further office premises in Tombland, dedicated to servicing our growing corporate and commercial client base. Our much-heralded Employment Manual, successful for over 20 years, re-launched as an online service; the birth of our employmentor offering. Leathes Prior's Partner Dan Chapman launches boutique sports law offering, Full Contact which is now representing organisations and individuals across the country. Cole & Co becomes part of Leathes Prior, bringing its conveyancing and private client expertise to the team at Leathes Prior. Since the merge, what was the Cole & Co office has become Leathes Prior's dedicated conveyancing office. Our Marketing Team worked with local Mosaic artist Carolyn Ash to create our stunning dragon; GoGoMosaic. Of the 84 sponsored dragons, it raised the most; a whopping £25,000! Having previously sponsored the cricket club's junior teams, the firm increases its support to become main club sponsor. The firm also signs a deal to sponsor the 'Leathes Prior Grand Prix' running series. 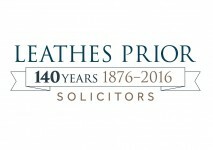 Leathes Prior was established in 1876 which means we celebrated a big birthday this year! Sarah Appleton and Tessa Bonser, from our Employment Team and Wills, Estates & Powers of Attorney Team, accept invitations to join the Partnership. Leathes Prior sports offering, Full Contact helped place Alex Albon into the Torro Rosso team for the 2019 season.